At the International Women’s Alliance second general assembly, new and existing members will honor women who serve as a constant source of inspiration for organizing and mobilizing women from the most marginalized communities around the world. We hold up these women leaders and fighters whose principles, dedication and commitment to grassroots women’s movements serve to keep our hearts alive with passion to change the world for the better. 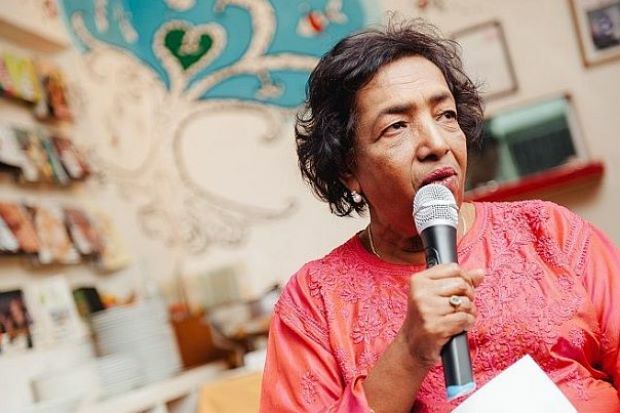 Irene Fernandez was an indomitable spirit who championed the causes of the most oppressed in Malaysia campaigning and organizing for the welfare of foreign migrant workers. Her activism and leadership united migrant workers from Indonesia, the Philippines and other Asian nations working in palm oil plantations, construction sites and as domestic workers. She was fearless in holding the Malaysian government accountable for the horrific conditions of migrant workers. Fernandez passed on March 25, 2014. Sakine Cansiz was the co-founder of the Kurdistan Workers Party (PKK) in the 1970’s, served as a fighter in the mountains of Turkey alongside of Leyla Soylemez, a young Kurdish activist. Fidan Dogan was a member of the Kurdish Information Center and a representative of the Kurdistan National Congress. The three were assassinated in Paris on January 10, 2013. Tens of thousands of Kurds mourned their death in the streets of Turkey as the slain activists represented an obstacle to the ongoing peace talks between the Turkish state and PKK. These three women stood for Kurdish women’s struggle for freedom. Bai Bibyaon is a chieftain from the Ata Manobo tribe in the Pantaloon Range in Mindanao. She is known as the “Gabriela Silang of Mindanao” who led a revolt against a company called logging company Alcantara & Sons in 1994 because they were threatening to destroy the ancestral lands of Talangiod in Davao Del Norte. In the picture above, Bai Babylon is leading a crowd of indigenous people in a collective dance for the global phenomena, One Billion Rising.